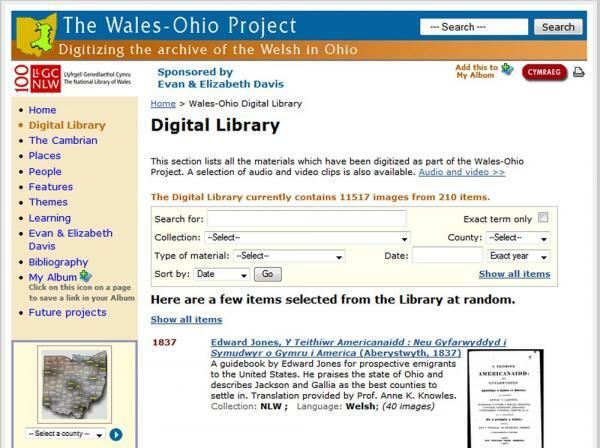 This site, for the National Library of Wales, aims to present a digital library of the history of the Welsh in Ohio. 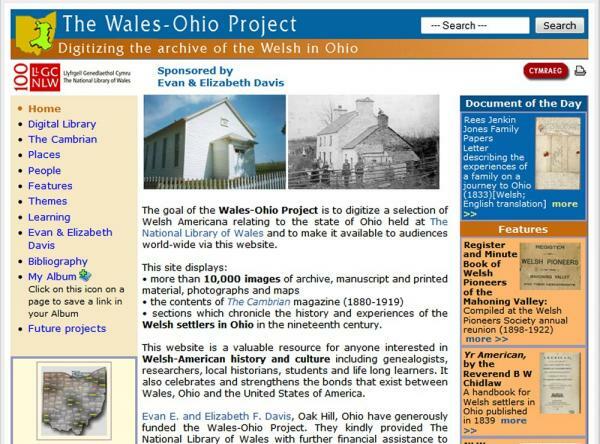 The project was funded through a generous grant by Evan and Elizabeth Davies, of Oak Hill, Ohio. 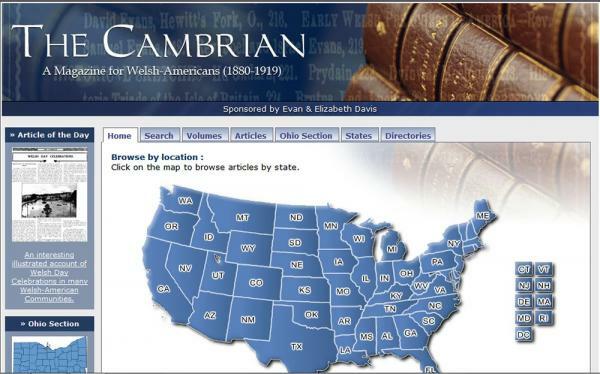 The site is fully bi-lingual, and contains some 150 pages (75,000 words) of text in each language plus audio and video files and 5000 digitalised images of documents, many of them with transcripts and translations. 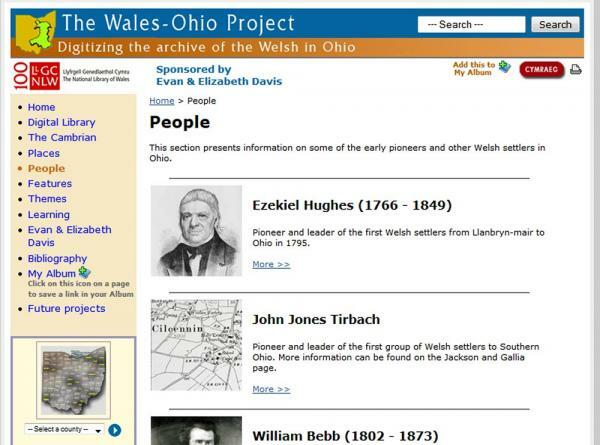 Our basic content management tools were extended to provide additional facilities for the project officer to add and edit the content herself. Technical features: The main site was developed using content management tools written in PHP and mySQL. Development partners:The project was a joint development with mach2media.